In the last 26 years, the Land Trust has completed 88 transactions, using $70 million to protect 6,293 acres. 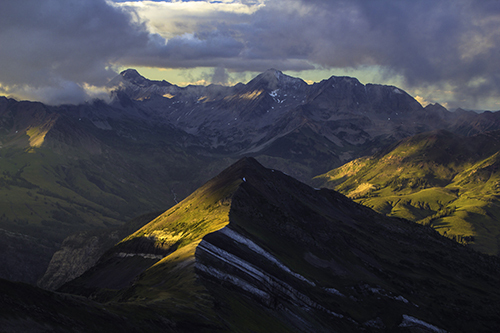 Below are some of our most proud moments of protecting the open space around our beautiful home of Crested Butte. Thanks to the wonderful community and passionate network of Land Trust supporters, we have accomplished a lot over the last two and half decades. We work hard every day to continue to protect the beautiful vistas, remarkable trails, abundant wildlife, and the unique ranching heritage of the Gunnison Valley. 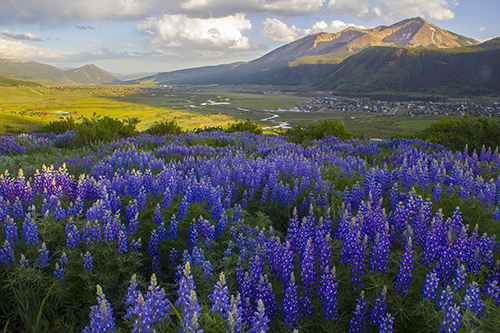 In 2014, the Crested Butte Land Trust successfully raised $2.8 million to save 108-aces on Snodgrass Mountain. Prior to the Land Trust purchasing the parcels, the land was slated to be an extension of the Crested Butte Mountain Resort’s Ski Mountain and a development of 35 luxury homes. Thanks to the community support from the towns of Crested Butte and Mt. Crested Butte, the Gunnison Valley Land Preservation Fund, and generous donations from individuals like you, the Land Trust was able to purchase the land, protect the trail access, and let Snodgrass continue to be a staple of our backyard trail system. After purchasing the land, the Land Trust transferred ownership of the property to the Town of Mt. 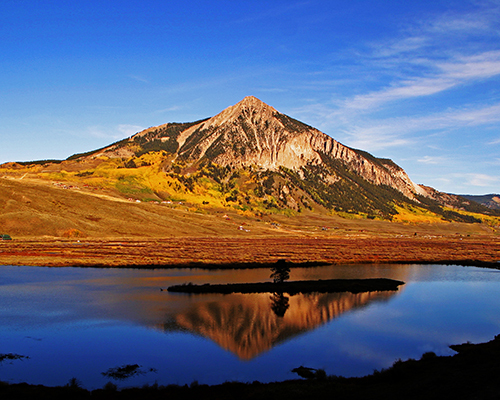 Crested Butte and now holds the conservation easement on Snodgrass. In addition, protecting this land for recreational access, it also adds to the protection of the wetland, continuing to preserve wildlife’s access to clean water. Today, people continue to enjoy exploring Snodgrass by bike, foot, snowshoe, horse, and ski. Thanks to you, Snodgrass is still a favorite access point for many of us around the Valley. In the summer of 2013, the Land Trust successfully raised nearly $2 million to purchase North Pole Basin, a special place with boundless beauty and conservation significance. Prior to the Land Trusts’ purchase, North Pole Basin was privately owned and inaccessible to the public. North Pole Basin is a crucial parcel because it is an ecological bridge between wilderness areas. The Land Trust partnered with the Rocky Mountain Biological Center (RMBL) to conserve this area. Currently, RMBL conducts important scientific research on the land. Today, this breathtaking basin formed by the mountains of Galena, Treasury, and Crystal Peak, can be explored by everyone. Thanks to Gates Family Foundation, Great Outdoors Colorado, Crested Butte Mountain Resort, 1% for open spaces, Gunnison Valley Land Preservation Fund, and individuals like you for making this a successful conservation project and accessible to all. Since 1904 Peanut Mine has been the site of coal extraction and milling of ores brought in from surrounding mines. The mill closed in the mid-1970’s, but the land was left in shambles, leaving behind yellow, foul-smelling tailing ponds. In 2000, the mine spontaneously combusted, shining light on the need to reclaim this land, especially because of its proximity to the Lower Loop, a Gunnison Valley favorite. The Land Trust was committed to this reclamation project and purchased the 86-acre parcel shortly after the fire. On the property were seven acres of unprocessed rock, partially processed ore, and mill tailings that were left behind since the 1970’s. Four years were spent restoring the site and over 60,000 tons of waste was removed. In 2011 the state of Colorado formally acknowledged the successful completion of the project. Thanks to the Budd family, the Gates Family Foundation, the Abandoned Mine Reclamation Fund, the U.S. Office of Surface Mining, the Environmental Protection Agency and Colorado Department of Health and Environment for helping reclaim the land. The Peanut Mine Reclamation Project won a National Award for Excellence in 2008 from the U.S. Department of the Interior. In 2010, the Land Trust, with the help of more than 150 volunteers and the Town of Crested Butte, built a trail connecting the Woods Walk Trail to the Lower Loop through the Peanut Mine parcel. At the end of the project, 75 volunteers planted 4,700 trees on the property. Today, several of these trees are thriving and water flows cleanly into the Slate River. Children, adults, and wildlife roam freely without having to worry about toxic waste. This was a huge success for the Land Trust and the community of Crested Butte. We could not have done it without people like you! Since the early 2000’s the Land Trust has focused its stewardship efforts in the Upper Slate River Valley, a seven-mile stretch from Gothic Bridge to Pittsburgh. Critically important was the Land Trust’s purchase and reclamation of the abandoned Peanut Mine, which contained seven acres of coal and toxic silver waste that had leached contaminants into Peanut Lake for more than five decades. That endeavor, and later efforts to remove over 700 truckloads of coal from the wetlands north of Gunsight Bridge, garnered awards for excellence from the U.S. Government. A newly developed Watershed Plan identified the 1.5 mile stretch of the Slate River encompassing Peanut Lake as a high priority for restoration. Because of human degradation, the river had the potential to merge with the lake. If this was to happen, silver and coal waste at the bottom of the lake would have entered the river. Peanut Lake risked being drained, diminishing the critical habitat and natural beauty of the area. In 2014, a team of locally experienced ecologists assisted the Land Trust staff with data collection, analysis, and the development of a restoration design. The plan called for removing a short segment of a man-made berm just north of the Lake and re-aligning roughly 800 feet of the river. The gravel berm restricted the Slate River from meandering across its natural floodplain and instead pushed it closer to the eastern shore of Peanut Lake. In 2015 the berm was removed and the river re-aligned. Volunteers and third graders from the Crested Butte Community School helped bundle and plant over 1,000 willows and 2,500 sod plugs, helping to increase bank stability. Today, the Land Trust continues to monitor the restoration site annually as part of its five-year monitoring plan. Thanks to individual donors like you, we successfully saved Peanut Lake! 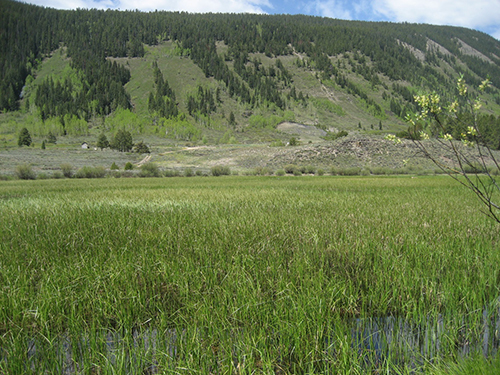 In 2011, 391 acres of the Kochevar family land was acquired and permanently protected by a collaborative effort of the Land Trust, Town of Crested Butte, and the Trust for Public Lands in partnership with Kochevar family. In addition, in 2007, the Land Trust purchased the adjacent 70-acre parcel. 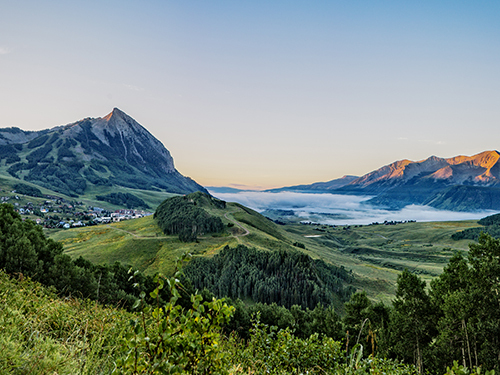 Between the two properties, miles of new trails were constructed, most notably the Lupine Trail System (Lupine 1, 2 and Gunsight Connector), an ideal single track trail network close to town that has become a staple of Crested Butte. A community effort, the trails were completed in the summer of 2013. It was designed to accommodate the steep terrain, water runoff, and seasonal cattle grazing. This trail network opened up expansive new views and epic single track for hiking and biking above Town and nicely connects back to the Lower Loop for everyone to enjoy!